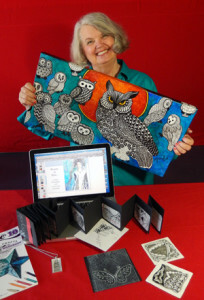 View a YouTube – Enjoy a slide show presentation on the creative progression of the Art of Zentangle®. In a previous blog post I mentioned a slide show presentation I gave at Tangle U. It’s my pleasure to share it with all of you, I had so much fun putting the images and memories together. 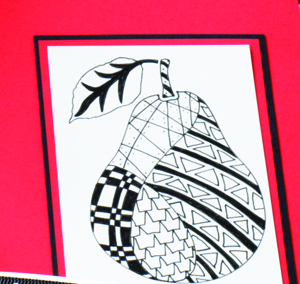 The slide show shares the creative progression of Zentangle over the years. It features some of the art work I have done as well as the events I have attended, the classes I have taught, and the wonderful people I have met along the way. Cindy sharing one of her Zentangle designs. 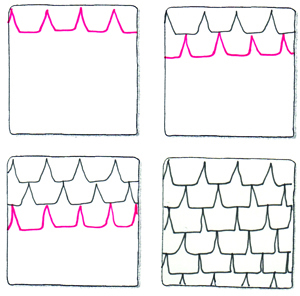 Design Originals published ‘Zentangle Basics’ almost 5 years ago, it was the first book about the art form to be published. I have never lost the excitement I feel with each new book published and tangle project completed. I enjoy sharing Zentangle with new students and am lucky to have many other CZT’s (Certified Zentangle Teachers) willing to teach classes with me at my Creative Arts Studio in Arlington, Texas. 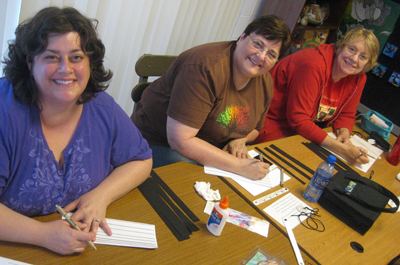 Sandy Hunter, Linda Stoker and Pat Uraquat having fun with tangles on leather. 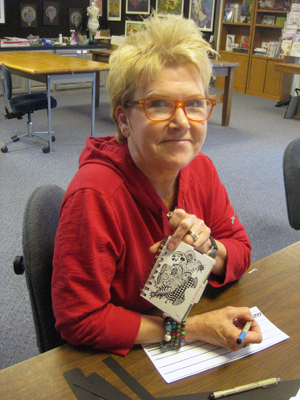 Recently, Cindy Shepard CZT, taught a Zentangle on Leather class at the studio. 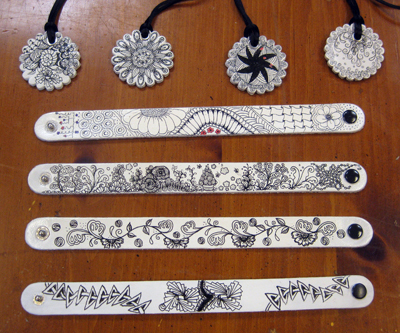 Her fabulous leather jewelry was featured in the ‘Zentangle 5’ book. The students created a pendant, a leather bracelet, and learned some tips and tricks for working with leather. Micron pens are a dream on the painted leather, we used a spray top coat to ensure durability. Cindy has worn her leather jewelry for several years now, and it still looks great. I have been with her several times when people have tried to buy the pieces from her arm and neck so it was a real treat to see how she creates them. Tangled leather jewelry made by students from the class.